Baking homemade bread is a relatively easy process, especially if you know a few tricks for avoiding common issues. One of those essential tips is that you need to grease the entire ball of dough before you allow it to rise for the first time. It's easy to do and will become second nature as you bake more loaves of bread. Depending on the type of yeast and the bread recipe, your dough may take anywhere from half an hour to two hours in the initial rise. 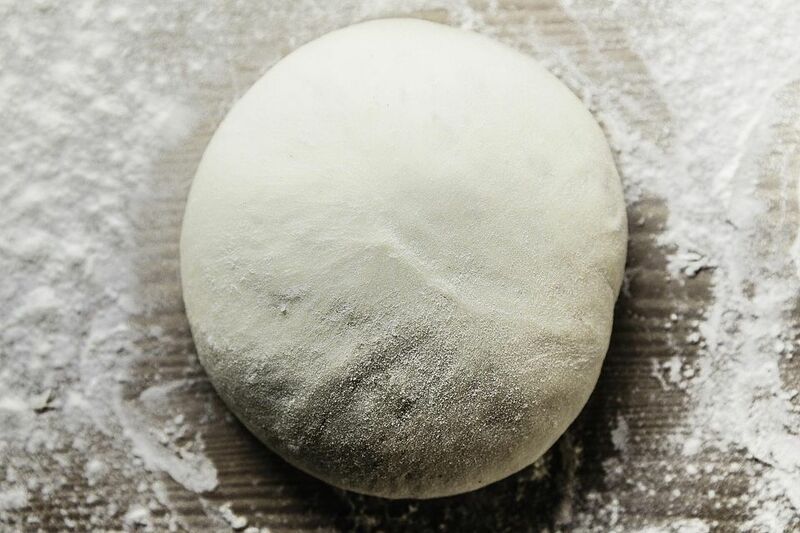 This is a long time for the soft, kneaded dough to be exposed to air and it can (and will) dry out on the top of the dough ball. The purpose of greasing or buttering the top of the bread dough is to prevent a dry “crust” from forming on the dough. This dry crust can be kneaded back into the dough without consequence to the bread’s flavor, but it is extra work that can be avoided by greasing the dough top. You will need to gather three things before you set your bread dough to rise for the first time: a bowl that is 2 to 3 times larger than the amount of bread dough, oil to grease the bowl, and a clean cloth. The oil can be any number of ingredients that you typically use for greasing baking and cooking dishes. Butter, shortening, or cooking oil are the most common. Spray oils in a refillable mister or a store-bought spray oil make quick work of the greasing. One filled with olive oil is one of the healthiest and easiest options. All you need to do is give your bowl a quick spray, ensuring all sides have a nice, light coating. Grease a large bowl with butter, shortening, or a cooking oil. Slide the dough over to one side and turn it upside down. The bread dough is now greased on top. Cover the bowl with a clean cloth to keep out any drafts. Keep the bread dough covered to protect the dough from drying out and to keep off dust. Place your rising dough in a warm, draft-free place in the kitchen while it's rising. Too much heat will speed up the yeast activity and too much cold air will slow it down. If you need to slow down the rising bread, place it in the refrigerator. This is called 'retarding' and it is a convenient way to split up the baking process. You can allow the bread to rise overnight, then shape the loaves and enjoy fresh-baked bread in the morning. To prevent the dough from drying out during the second rising (after you've shaped the loaf), place a clean cloth towel over the loaf. This is often a shorter rise of about 30 minutes, so grease is not needed and a towel will do just fine. You can also freeze the dough after the first rise. Many bread bakers like to prepare enough dough to last their family for a few weeks and it's a great way to save time while enjoying fresh bread. You do need to add more yeast and allow it to rise once before freezing, though.